Bathroom mold removal is something we’ve probably all had to deal with at some point. 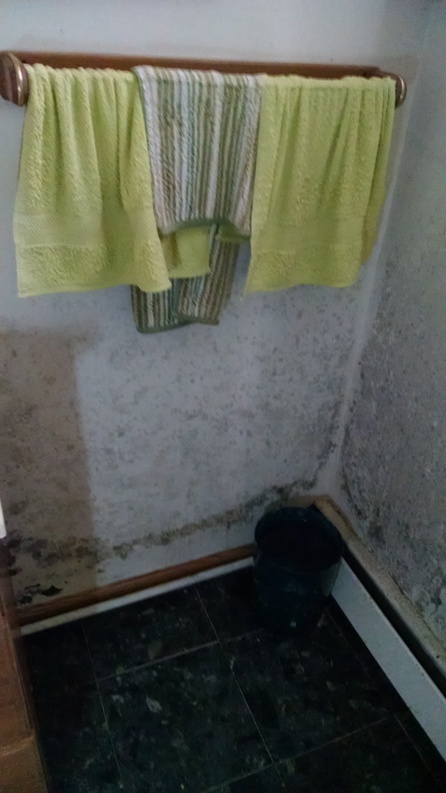 Bathrooms are great environments for mold growth because they tend to be warm and wet. Not everyone realizes how important it is to remove mold from the bathroom as quickly and completely as possible, though, because it can lead to numerous health issues and cause serious damage to your home if left unchecked. We’d like to offer you some tips to help you deal with mold in your bathroom. Inspect your bathroom for mold regularly and address any mold you discover right away, before it can spread to other areas. Be sure to check under the sink and anywhere else mold might not be readily seen. Clean your bathroom regularly with a good disinfectant to remove any traces of mold that may be present, even if invisible to the naked eye. Wear disposable gloves and an N-95 face mask when removing mold in your bathroom to prevent contact with, and inhalation of, mold spores. Contact with, and inhalation of, mold spores can cause or contribute to many health problems, so it is important to protect yourself. 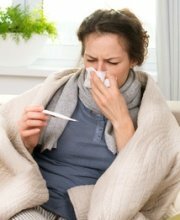 Here you can learn more about mold-related illness. Use a mold removal product proven to kill many types of household mold for cleaning mold from non-porous surfaces in your bathroom, such as tubs, sinks, toilets, tile, stainless steel and glass. Follow this link to learn about different mold removal products. Porous surfaces usually cannot be adequately cleaned of mold. Discard and replace moldy rugs, shower curtains and similar items. Moldy wallpaper, drywall, carpet and other materials that cannot be adequately cleaned will also need to be carefully removed and replaced. Enclose any moldy materials to be removed in sturdy plastic bags before leaving the bathroom to prevent the inadvertent spread of mold when carrying them through the house. Keep the bathroom door closed when removing mold to prevent mold spores from drifting to other areas of the home. If removing large amounts of mold, or if removing moldy materials like drywall, insulation or carpet, you should also use duct tape and sheets of heavy plastic to cover air vents to prevent mold spores from entering your HVAC system during the mold removal process. Contact a mold remediation professional for help with bathroom mold removal if you have mold covering an area greater than 10 square feet, if there is mold inside your heating and air conditioning ducts, or if mold develops in your bathroom after flooding with water that might be contaminated by sewage or other hazardous substances, as recommended by the U.S. Environmental Protection Agency (EPA). We also recommend contacting a professional, or at least arranging for someone else to handle the mold removal for you, if you are experiencing mold-related health problems, if you are allergic to mold, or if you have any respiratory problems such as asthma. Cleaning up mold may make your symptoms worse. Consider having the bathroom tested for mold after the mold removal has been completed, as suggested by the Environmental Protection Agency, to make sure no mold was overlooked or left behind. 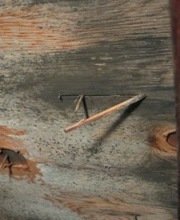 Here is more about testing for mold. After removing bathroom mold, take steps to prevent it from returning. Keeping bathroom surfaces clean and dry goes a long way toward preventing mold, although of course tubs and sinks get wet when in use. 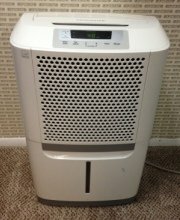 You can read some general tips for preventing mold and some specific suggestions for preventing shower mold here. We also suggest inspecting the rest of your home for mold, since many types of household mold spread easily from one area to another. If you’ve found mold in your bathroom, it is quite possible to have mold in other rooms, as well. If you want help inspecting your home for mold, many mold remediation professionals offer free consultations and home inspections. If you need assistance removing mold from your bathroom, or just want some expert advice, you can schedule a free in-home consultation with a mold remediation professional. An experienced professional will visit your home, inspect for mold, advise you about the mold remediation work that needs to be done, and answer any questions you have. You’ll also receive a written estimate for the cost of the work, but there is no obligation on your part so there’s nothing to lose. To find experienced professionals offering free consultations in your area, just follow the link. Removing Black Mold In The Shower - How to safely remove black shower mold and prevent it from returning. 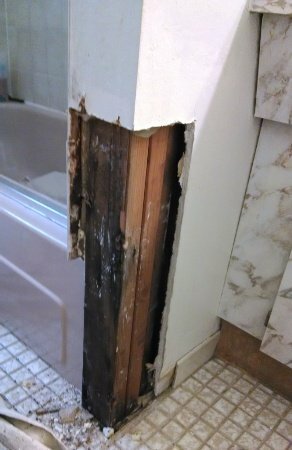 Signs of a larger mold issue in the bathroom.